Five year old Nathaniel from Maidstone in Kent uses a wheelchair due to quadriplegic athetoid cerebral palsy. He enjoys trips to school every day, but his mother was finding it difficult to push both him in his wheelchair and his young sister Alexandra in a pushchair. 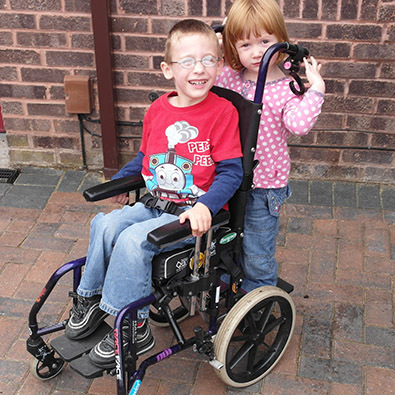 Our team designed and made a lightweight ‘Buggy Board’ to fit Nathaniel’s chair, allowing his mother to push him to school with Alexandra standing on the back. It allows Nathaniel, his mother and sister, to go out for walks together without needing the help of friends and family.